Although the unprecedented outbreak of pneumonic plague in Madagascar’s is slowing down, the WHO has however cautioned that the response be sustained. “The worst of the outbreak is over, but we must stand ready to detect and respond to new infections until the end of the plague season in April 2018,” said WHO Director-General Dr Tedros Adhanom Ghebreyesus. According to data published by the Madagascar Ministry of Health, the number of new infections has been in steady decline in recent weeks. This indicates that measures taken to contain the outbreak have been effective, but more infections of both bubonic and pneumonic plague are expected until the end of the plague season in April 2018. “I congratulate the Government of Madagascar for the way it has worked with partners to contain this outbreak. This is just the type of leadership needed to prevent outbreaks spiralling out of control,” Dr Tedros added. Between 1 August and 22 November, the Madagascar Ministry of Public Health reported a total 2348 cases, including 202 deaths. Nearly all identified plague patients and almost 7300 contacts were provided with treatment free of charge. “It is a tragedy that a disease from the Middle Ages, that can be easily treated, could threaten an entire country and kill more than 200 people. 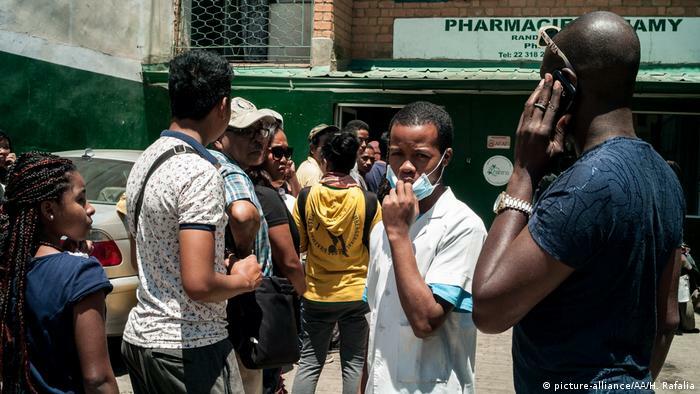 There is far too little funding for plague research, prevention and preparedness, and this year thousands of people in Madagascar have suffered as a result,” said Dr Peter Salama, Executive Director of the WHO Health Emergencies Programme. Although plague is endemic to Madagascar, this outbreak is unprecedented in terms of speed and reach – occurring in non-endemic areas such as densely populated cities, with a higher proportion of pneumonic versus bubonic cases. In response, WHO rapidly released US$ 1.5 million in emergency funds, delivered more than 1.2 million doses of antibiotics, and trained more than 4400 people to work as ‘contact tracers’ to help prevent plague from spreading further in hard-hit areas. WHO and partners are supporting the Government of Madagascar to coordinate the response, provide clinical guidance, identify and treat patients and their contacts, and strengthen exit screening at airports and ports to reduce the risk of international spread. More than 135 WHO and Global Outbreak Alert and Response Network (GOARN) staff have been reassigned or deployed to Madagascar to respond to the outbreak. Ongoing support to sustain the response is required for comprehensive case finding, active contact identification and treatment, rodent and flea control, and ensuring safe and dignified burials. WHO will continue to assist national health authorities to maintain surveillance and response capabilities and to effectively manage future outbreaks.